Chung Yeun-Bom (鄭然凡) was inaugurated as the new director of the Japan National Tourism Organization's Seoul Office on August 2, 2011. 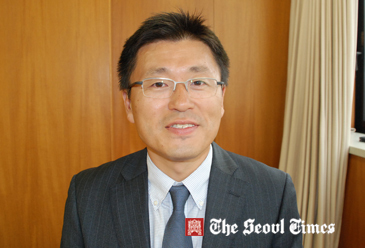 The 41-year-old Japanese man of South Korean origin replaced Yoshida Takashi (吉田隆), who has been serving as the director of the JNTO's Seoul office for the past year and a half. In a ceremony held in the JNTO's Seoul Office in downtown Seoul at 2 p.m. on August 2, 2011 the new JNTO director met with local journalists and people from the local tourism and travel industries. The new director graduated from the prestigious Keio University with a degree in economics. Chung also studied at Yonsei University's Graduate School of International Studies (GSIS), earning his master's degree from the South Korean university. He started working for the JNTO in 1998. In 2003 he served as an assistant director at the JNTO's New York Office. Within the JNTO's main office Chung worked as the senior assistant manager for the research and planning department in 2008. The following year Chung served as a public relations officer at the JNTO's planning department. For details or inquiries call 82-2-777-8601.